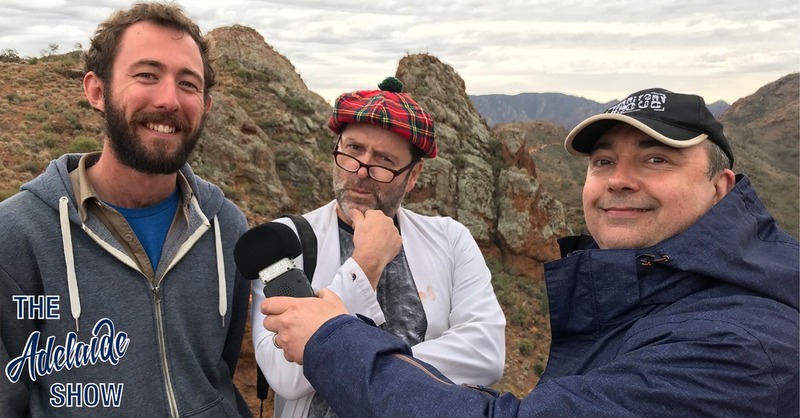 This week, we sit “among” the Arkaroola rocks with Doug and Mark Sprigg, the father and son of the family that runs the Arkaroola Wilderness Sanctuary, where Steve spent a week, early in October. He also interviewed Professor Flint while on site and these three interviews are coming our way tonight. However, we also catch up with Professor Flint’s writer and producer, Michael Mills, to do the Is It News honours with Nigel, before the professor presents his song about the state’s fossil emblem, Spriggina. The last time Professor Flint was on the show was here: 204 – Dinosaurs Amongst Us. This week, the SA Drink Of The Week is from Lake Breeze. In 100 Weeks Ago we hear a snippet from Ralf Hadzic, the man known to man as Fat Cat. We also discuss grammar in an SA Tourism ad and the ethics of op shop clothing for Halloween. And in the musical pilgrimage … we hear a track from Professor Flint, himself. 2014 Lake Breeze Bernoota Shiraz Cabernet … tasting notes. 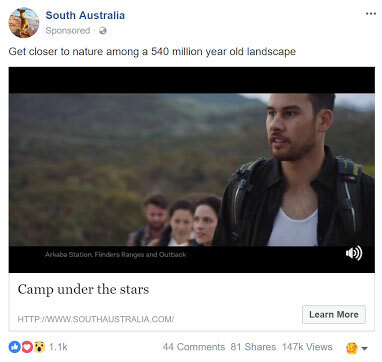 The SA Tourism ad for the Flinders Ranges is provoking some interesting commentary. Firstly, the text has a simple, grammatical error. It reads: Get closer to nature among a 540 million year old landscape. You can’t really be among a landscape. You can be among the wildlife and the trees but not a landscape. A few Facebook users have called them out on this. A landscape is a mass noun. And then there is a debate about the age of the rocks around Arkaba Station where the images were shot. Some were arguing they are not 540 million years old, others that they are much, much older. The ethics of using Op Shop suits for fancy dress. Doug Sprigg is first. He currently runs the Arkaroola Resort and Wilderness Sanctuary. We mention the Reg Sprigg biography. Here’s the link. Mark Sprigg is next to be interviewed. Then we chat to Professor Flint. Indications were Australia’s climate was slowly becoming warmer, not colder, Sir Douglas Mawson, noted Antarctic explorer, said in Adelaide today. He was commenting on a London report, that, British climatologists claimed Britain was steadily changing into a temperate country, but were uncertain whether Australia was growing colder as Britain warmed up. The British climatologists said the unreliability of early Australian records made it impossible to prove the belief Australia would become a cold, wet country with snow sports all the year round. Sir Douglas Mawson said: All broader factors bearing on the subject suggest Australia will slowly become warmer and the arid regions even more arid. The world as a whole is now moving from a time of severe glaciation to a period of milder conditions. Polar ice is melting. Such changes are exceedingly slow and hardly register able in a single lifetime. Some climatologists, however, believe within 5,000 or 10,000 years this slow movement toward warmer conditions will have resulted in a permanent and very marked change of Australia’s climate. far more than all the cost of our exploring expedition. at the Willunga Bowling green this afternoon. Official tests will begin early in the New Year on the Myponga uranium strike in the hills 30 miles from Adelaide. Noted geologist Sir Douglas Mawson said today pitchblende was a complex uranium ore and that extraction might be difficult. The fact that it had been found near the surface in the Myponga area augured poorly for the possibilities of the field. As a rule pitchblende was typically found near the surface and was of low quality. The Myponga uranium find is expected to send up all uranium shares when the Stock Exchange opens on January 4. 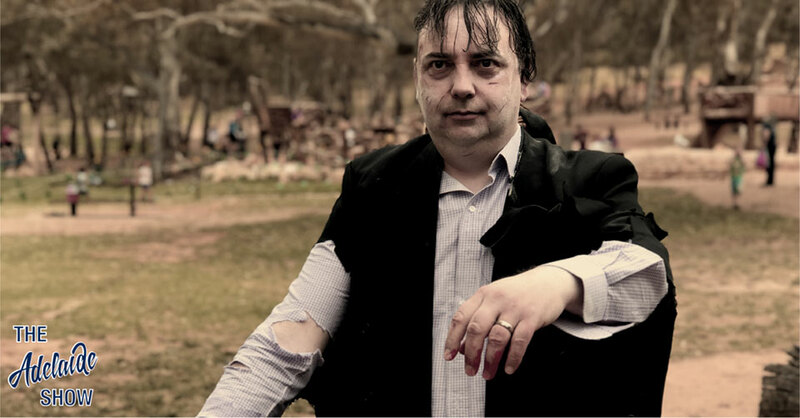 In 100 Weeks Ago, we revisit Ralf Hadzic, a media professional who is famous for playing Fat Cat, and talked about all manner of topics from his time at 5MU to hi jinks with Jane Reilly. Along the way though, there was one passage that ties in with week’s show because it mentions a couple of celebrities from local media (the late Noel O’Connor and the late Vaughan Harvey – to match Doug Sprigg mentioning names like Sir Douglas Mawson), and World War Two (to match Mark Sprigg mentioning Sir Mark Oliphant who travelled to Arkaroola to source Uranium for bombs, as part of the Manhattan Project). Here it is. And our song this week is Spriggina by Professor Flint, snuck in by Steve instead of being selected by our musical curator, Todd Fischer, because it is a song about the South Australian Fossil Emblem, Spriggina, named after the Sprigg family.